The Yankees impressed to a 62-33 record in the first half and are currently on pace for over 100 wins. Unfortunately, the Red Sox are also in the AL East and happen to be playing at a historic pace. 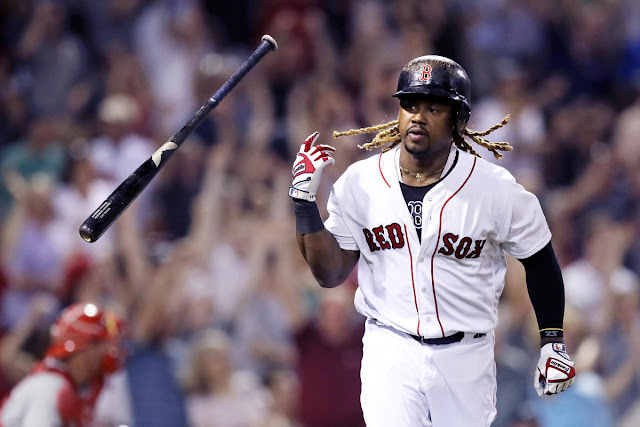 It’s nearly impossible for Mookie Betts and JD Martinez to keep up their unbelievable seasons, but with that being said, the Red Sox have gotten a lack of production from a lot of guys including Eduardo Nuñez, Jackie Bradley Jr., and Rafael Devers, while Chris Sale picked it up at the end of the first half of the season en route to starting another ASG. 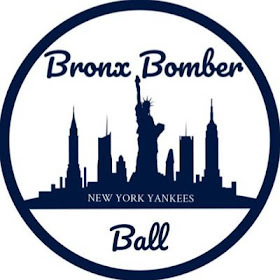 On the flip side, the Yanks have had injuries to many guys, but have also led the league in homers and gotten breakout seasons from rookies Gleyber Torres and Miguel Andujar along with a dominant bullpen. With the way the Red Sox are playing, it’ll be hard for the Yankees to catch them for the AL East title. In 65 games this season, Sanchez has hit 14 homers while slashing a highly disappointing .188/.285/.421. He endured a two-month long slump before going down with an injury. After returning for just a few games, Sanchez has landed back on the DL again, with the estimated recovery time putting him near the end of August or early September for a return. The 14 homers in 65 games would equate out to 36 homers for a full season, which is quite impressive considering he wasn’t that good at all in those first few months. I expect Sanchez to go on a hot streak when he returns, including dominating the end of the season in the way that he has his whole career thus far. Acquired from the White Sox around this time last year, Kahnle has mysteriously fallen off this season. Once a trusted reliever for the Yanks, including in the postseason, Kahnle wasn’t his typical self at the beginning of the season. Lack of command and a noticeable drop in velocity led to him being placed on the disabled list. Unfortunately for him, Jonathan Holder and AJ Cole broke out in his absence and asserted their roles in the Yankees bullpen. With Aroldis Chapman, David Robertson, Adam Warren, Chad Green, Dellin Betances, and the newly acquired Zach Britton all already locked into spots, Kahnle’s struggled to get back up to the major league roster. Still stuck in Scranton Wilkes-Barre, the Yanks will likely not give Kahnle a shot until someone immensely struggles or gets hurt. Designated for assignment by the Nationals earlier this season, the Yankees took a flyer on the right-hander. A former top starting pitching prospect, Cole was horrendous with the Nats, but has figured things out in his time with the Yankees out of the bullpen. He’s been so good that he’s earned himself a permanent role in the bullpen, including over Tommy Kahnle. His 0.48 ERA in the first half with the Yanks was unprecedented after he was abysmal (13.06 ERA) across four games and two starts (10.1 innings) in his time this season with the Nats. In 18.2 innings with the Yanks, he allowed just 11 hits and one run while racking up 24 strikeouts. In his first outing of the second half, he allowed a run against the Mets, already matching the number of runs he allowed in his first ten Yankees appearances. 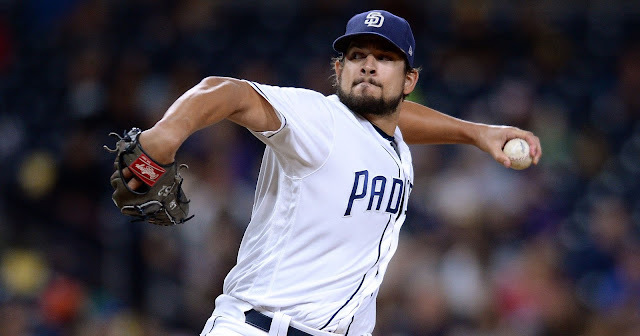 It’s nearly impossible for Cole to keep up this kind of pace, and when he does come back down to earth, he may lose his spot in the ‘pen to someone like Kahnle or Domingo Acevedo. At the beginning of the season, I was a part of the minority of fans that believed the Yankees didn’t need starting pitching. They were set up well with Sevy in the ace role, followed up with CC Sabathia and Masahiro Tanaka who each enjoyed fantastic 2017 postseasons. Sonny Gray was average in 2017, but he’s certainly not a bad fourth option. Jordan Montgomery was coming off a very good rookie season, proving to be a legitimate MLB starter. Well, fast forward past the All-Star break and the Yankees certainly do need starting pitching now. Montgomery has since undergone Tommy John Surgery, while Sonny Gray has continued to underwhelm in pinstripes. Sabathia has been solid at age 37, but Tanaka’s again been plagued with injuries and inconsistencies. With only two truly reliable options in the rotation, a starter is the Yankees biggest need. A Madison Bumgarner or Jacob deGrom would put this team over the top, but as fun as that sounds, they’re not realistic possibilities. Be prepared for the Yanks to acquire a mid-tier starter such as Cole Hamels or JA Happ. Signed late in the offseason as a nice depth piece, Walker was horrendous in the first month of the season. Many were hard on him from the beginning, but he deserved to prove himself after the solid career he’s put together. Now in July, Walker’s had more than enough opportunities to prove himself and he’s still below the Mendoza line. The Yankees will finally move on from Walker by designating him for assignment. With Tyler Wade finally proving he’s an MLB-caliber player and Brandon Drury deserving of more ABs, Walker’s spot on the team is virtually useless at this point. 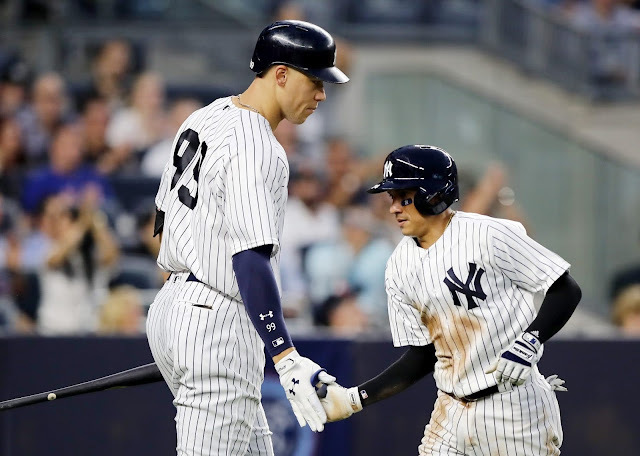 Despite all the starting pitcher problems and some cold streaks from offensive stars Didi Gregorius, Gary Sanchez, and Giancarlo Stanton, the Yanks still stand at an impressive 64-36. With Sanchez returning as well as Torres soon, the Yanks will finally have a fully healthy lineup. Loaded with many options, the offense will continue its torture on opposing pitching staffs and the Yanks will get just enough from their pitching to finish with 105 wins. This prediction may be on the bold side of things, as Tanaka hasn’t shown many signs of being an above-average pitcher this season, until he dominated the Rays with a complete game shutout on Tuesday. With that being said, Tanaka is now healthy and I think he’ll continue to pitch much better in the closing months of the season. He’s always had troubles giving up homers and if he even minimizes that problem, it’ll make that much of a difference. At the moment, the Yankees offense is on pace to hit the most homers in MLB history. With seven guys in double digits in homers and nine hitters with at least eight homers, they’ve gotten contributions from all across the board. Aaron Judge has already reached the 25 mark and Stanton is also a lock to hit that mark. Standing at 16 and 17 homers respectively, Aaron Hicks and Didi Gregorius seem destined for that make as well. Gleyber Torres currently sits at 15 and that’s even with being injured for a few weeks now and also missing the first few weeks of the season due to being in Triple-A. The sixth guy that’ll reach at least 25 homers for the Yanks is the aforementioned Gary Sanchez, who I predicted will finish with a hot streak once he returns. That may be a long shot now, but we've seen Gary when he gets hot so who knows what he'll do when he returns again. Miguel Andujar (12 HRs in 328 ABs) and Greg Bird (8 HRs in 148 ABs) also have an outside shot of hitting that plateau. A healthy Bird could get hot and have the advantage of seeing good pitches thanks to being surrounded by stars all throughout the Yankees lineup. With the balance across the board including Judge and Stanton likely finishing with 40+ homers, the 2018 Yankees will break the MLB record for most homers in a season. Once seen as one of the most promising young pitchers in baseball, Gray’s career is suddenly on the downward slide. From 2013-2015, he was one of the best pitchers in the AL that included an All Star Game appearance in the last year. 2016 was just as worse as this season has been, as he pitched to a 5.69 ERA and 4.67 FIP. Gray bounced back for a solid 2017 season, but still not where he once was. He wasn’t necessarily bad for the Yanks, but fans certainly expected more of him. Since, he’s been getting rocked in 2018 in virtually every start. Sitting at a career-high 1.49 WHIP, Gray’s not had many great starts. Across 19 starts, he’s had just four quality starts, just one of which has been at home. Three of those four quality starts have been against baseball’s second-worst team in the Orioles. With all that being said, he’s shown virtually no signs of regaining his old dominance specifically against above-average teams. Expect Gray to continue to pitch below-average and end the season with a ERA above 5.00. There’s even a slim possibility Gray could end the season in a different uniform.